Kate is a Physical Therapist and Orthopedic Physician Assistant. 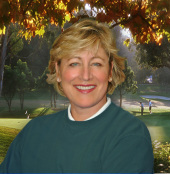 She founded Kate Grace Physical Therapy in 1985. This very progressive rehabilitation clinic treats a wide variety of patients with acute and surgical orthopedic injuries, postural dysfunctions and athletic and industrial injures of the spine and extremities. Kate received her degree in Physical Therapy from Ohio State University in 1979. From 1979 to 1982 Kate was a staff Physical Therapist at Children's Hospital in San Diego. In 1982 she planned, opened and supervised the new Sharp Orthopedic Outpatient Physical Therapy Department at Sharp Hospital in San Diego. Kate was also the supervisor of the Physical Therapy Clinic at the 1984 Olympics in Los Angeles, where over 100 athletes were treated per day. Her OPA license was obtained in 1994. Kate has a special interest in patellofemoral dysfunction since she has suffered with the problem since she was 12 years old. She has undergone 8 painful knee surgeries and years of rehabilitation. After treating patellofemeral patients and researching the problem for the past 20 years, Kate and her associates developed the OnTrack System. This is a unique, non-surgical method for the management of patellofemoral dysfunction. Research has proven that the OnTrack is the only system that realigns the patella and can return the joint anatomy back to normal. Kate is proud to say that she and her team have successfully resolved thousands of patient's knee problems. Kate and her business partner, Annie M. Fonte, established OrthoRx, Inc. in 1995, a research and development, and orthopedic product company. They focus on the design and implementation of needed products to help a wide variety of orthopedic challenges. In 1997, Kate and Annie established OrthoEd, an international medical education seminar company. They have spent the last 13 years traveling throughout the United States and internationally, lecturing and teaching health professionals about an effective and research-proven way to examine and treat patellofemoral dysfunction. Annie and Kate's most recent venture is to create a new model for the delivery of physical therapy and wellness services to individuals of all ages. They are determined to continue to provide world-class care to their patients and clients without compromise. Today's health care environment is costly, inefficient and ineffective. ﻿Evolve ﻿Physical Therapy + Advanced Wellness was created to rise above mediocrity and to excel at the highest level while positively impacting the lives of so many.